Hexic Flow Sized 8 Frenzy Solutions, Cheats, Answers for iPhone, iPad, Android, Kindle, iPod Touch and other device by ThinkCube. Big Thanks to ThinkCube this time! Brought us a whole new challenge in so many Flow puzzle games! This time, let us experience the mind-twisting addictiveness of this ingenious puzzle game! Now Hexic flow are on a Hexic grid, and there are more turns, twists, & possibilities! Now Hexic flow have over 3000 levels, start your download now in iTunes or Google Play store! Enjoy the fun! 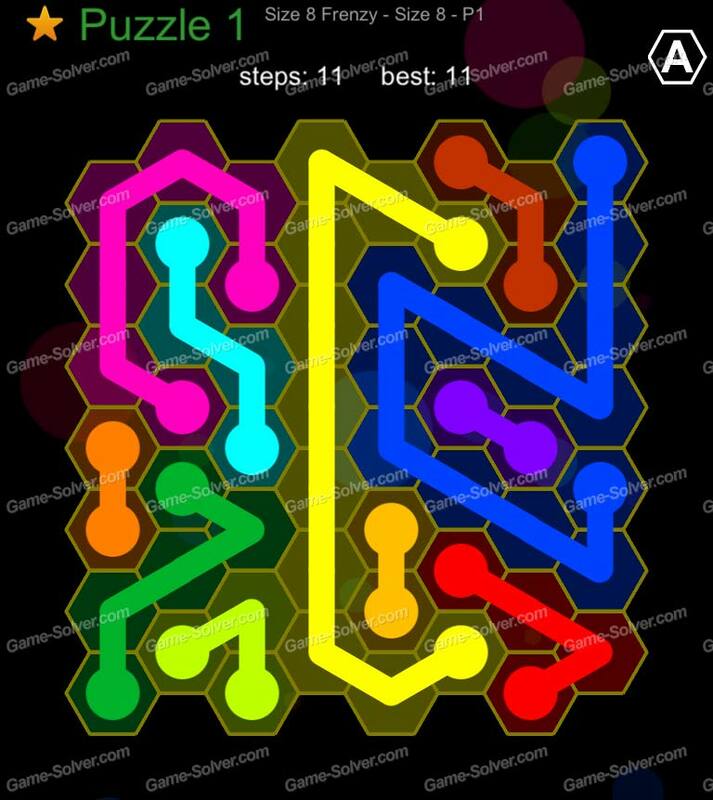 Hexic Flow Solutions are proudly present by Game-Solver.com.